Iowa Young Birders was organized as an independent Iowa not-for-profit corporation on July 14, 2011. You can see our Articles of Incorporation and our State of Iowa Corporate Certificate. Our logo depicting an American Kestrel rising over the green fields of Iowa was designed by Katie Anderson. From the Cornell Lab's All About Birds, the American Kestrel is "North America's littlest falcon, the American Kestrel packs a predator's fierce intensity into its small body." A classic bird of the Iowa roadsides, the American Kestrel was selected by the American Birding Association as its 2012 Bird of the Year; this is the same year that Iowa Young Birders started offering field trips. Our motto, Explore. Inspire. Conserve. reflects our mission to promote engagement with our natural world and conservation issues by empowering young Iowans to study and enjoy birds and birding. If you have any questions or would like additional information, please don't hesitate to contact us. Iowa Young Birders promotes engagement with our natural world and conservation issues by empowering young Iowans to study and enjoy birds and birding. Builds young peoples' knowledge and skills across the curriculum through dynamic and interactive birding-based educational programs, activities, and events. Fosters an interest in birding among young people in Iowa. Offers a safe and fun community for young birders in Iowa. Furthers awareness of conservation issues affecting Iowa birds, and the preservation of ecosystems conducive to bird conservation. Cultivates young peoples’ interest in career options related to birds and conservation and provides positive role models. Builds partnerships with other nature and birding groups in Iowa and the U.S., thereby strengthening our collective web of support. Develops and shares best practices in birding education and experiences. On January 5, 2012, our Board of Directors approved Bylaws which you can view here. On January 29, 2012, we submitted our application to the Internal Revenue Service for tax-exempt status and on May 15th, our request was approved and here is our IRS Tax-exemption Letter. Our tax identification number is 45-2925567. In accordance with IRS regulations, we are required to file an annual short form "postcard" Form 990-N and here is our latest filing. Per IRS regulations, organizations are not required to file the full Form 990 until organizational revenues exceed $50,000 annually. 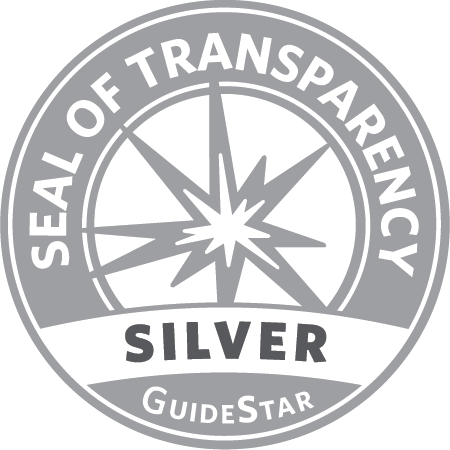 Iowa Young Birders is committed to the highest standards of transparency and best practices and we have qualified as a Guidestar Exchange Silver Participant. See our full Guidestar report here. The Iowa Young Birders is a pioneer and national leader in the development and application of best practices for encouraging and educating young birders to become conservation leaders and to enjoy a lifetime of birding. Respect - we believe that all people should be treated with consideration and dignity. We cherish diversity. Caring – we are committed to serving with empathy and compassion. Teamwork – we are committed to effective partnerships between volunteers and staff, and we seek opportunities to form alliances with others. Integrity – we are committed to act in an ethical, honest manner. Our values are also reflected in the Iowa Young Birders Code of Conduct, adopted by our Board of Directors in April 2012 to guide our activities and our conduct during our activities. Tyler joined the Iowa Young Birders leadership team after serving as a regular volunteer trip leader and in July 2015, Tyler was named as Executive Director. Tyler is from north-central Iowa and is a member of the Iowa Ornithologists' Union Board of Directors. He is also Past President of the Iowa Chapter of the Wildlife Society. Tyler and his wife, Ashley, and sons Graham and Otis live in Ames.